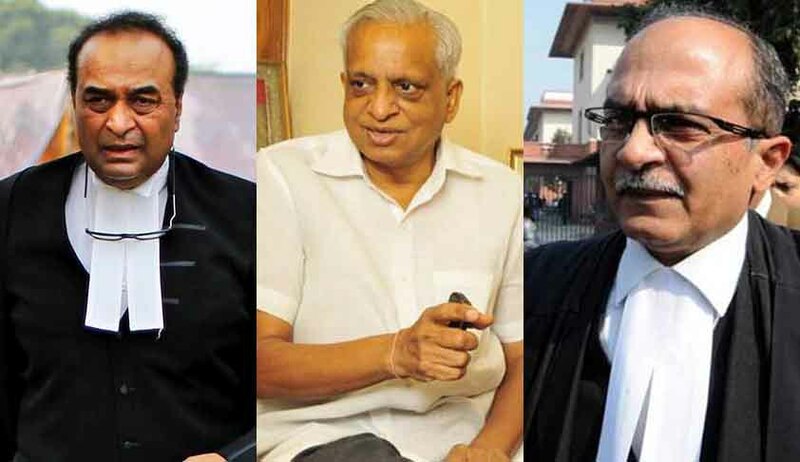 RTI activist Subhash Chandra Agrawal has approached the Supreme Court against the Delhi High Court judgment that held that the Attorney General of India is not a public authority under the Right to Information Act. A division bench of Chief Justice G Rohini and Justice Jayant Nath by its judgment dated February 3, 2017, had reversed the 2015 judgment of Justice Vibhu Bakhru in Subhash Chandra Agrawal Vs Office Of The Attorney General Of India. The special leave petition filed by Agrawal through advocate Prashant Bhushan raises a substantial question of law of general public importance as to whether the office of the AGI comes under the ambit of the obligations of the RTI Act. The issue came up before the high court (single judge) as when the petitioners (Agrawal and RK Jain) had approached the AGI’s office to seek information, the office declined to accept the application and informed the petitioner, “There is no CPIO in AG’s Office”. The petitioners then approached the CIC, which decided against them. It was against the order passed by the CIC that the petitioners approached the Delhi High Court. Justice Vibhu Bakhru allowed the appeal and held that the office of the Attorney General of India is a public authority under the Right to Information Act. Against this order, the Central government filed the present appeal before the division bench. The bench observed that it cannot be ignored that the predominant function of the AGI is to give advice upon legal matters, to appear in court as stated, i.e. perform the duties akin to an advocate/senior advocate. The division bench observed that the acts which have been noted by the learned single judge as not forming part of the duties as an advocate, namely, that the Supreme Court may take action for criminal contempt on a motion made by the AGI or that the AGI is an ex officio member of the Bar Council of India represent a small proportion of the duties of an AGI. “Essentially, the function being that akin to an Advocate of the Government of India, he is in a fiduciary relationship with the Government of India and cannot put in the public domain his opinions or the materials forwarded to him by the Government of India”. The Bench held that looking at the object of the Act, it appears that it would not have envisaged encompassing an office like that of an AGI to be covered under Section 2(h) of the RTI Act. In the special leave petition, it was submitted that the Attorney General is a position/office established and created under Article 76 of the Constitution of India. Section 2(h) of the RTI Act clearly includes all authorities or bodies established or created under the Constitution or any statute or any notification, and also include NGOs which have been substantially financed by the government. “The Office of the AGI (just as the Office of the CAG) is a body or authority or institution established or constituted by or under the Constitution of India. An AGI has been given functions and duties under the Constitution (Art 76), under the statutes and under Rules framed directly under the Constitution. He/ She is appointed by an appropriate notification issued by the Central Government in the name of the President. The said office is also controlled and substantially financed by the Government. Therefore, under the plain and literal interpretation of the RTI Act, there is no shadow of doubt that the Office of the AGI is a public authority,” the petition stated.